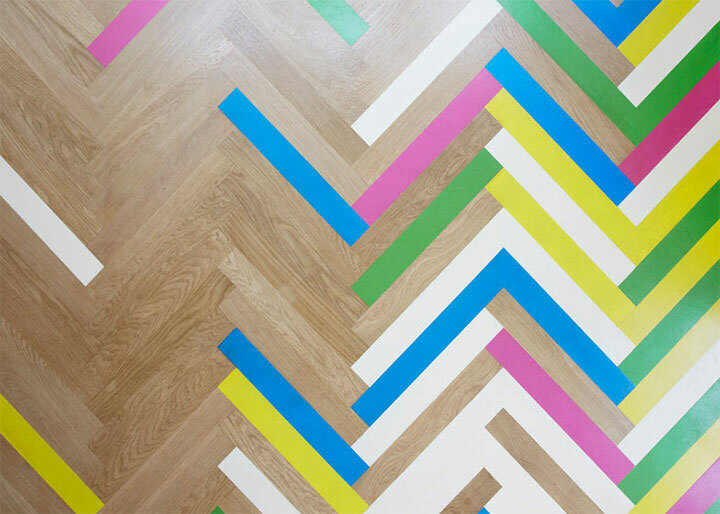 A quirky design project seems to prove that parquet flooring and bright colors are not mutually exclusive. 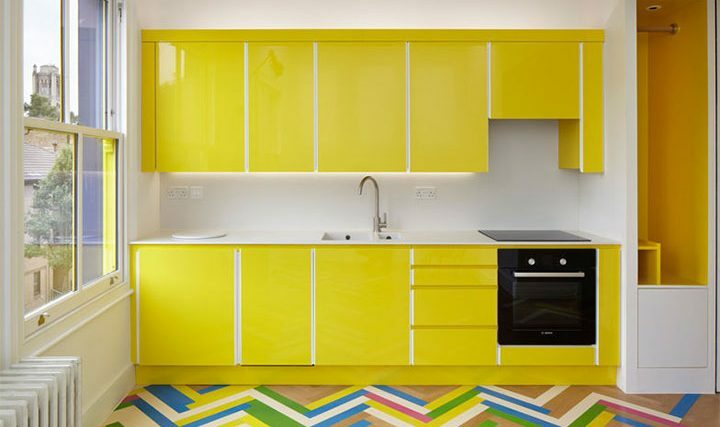 When renovating the Basing Street Rooms building in London, the architecture firm Alma-nac chose vibrant colors and an unexpected way to incorporate them into the design to give each apartment both character and individuality. The apartments were meant to be used by a record label as long-term guest suites. Inspired by the particular field of its client, Alma-nac chose record sleeves as the starting point in deciding on the color theme of each of the four apartments. 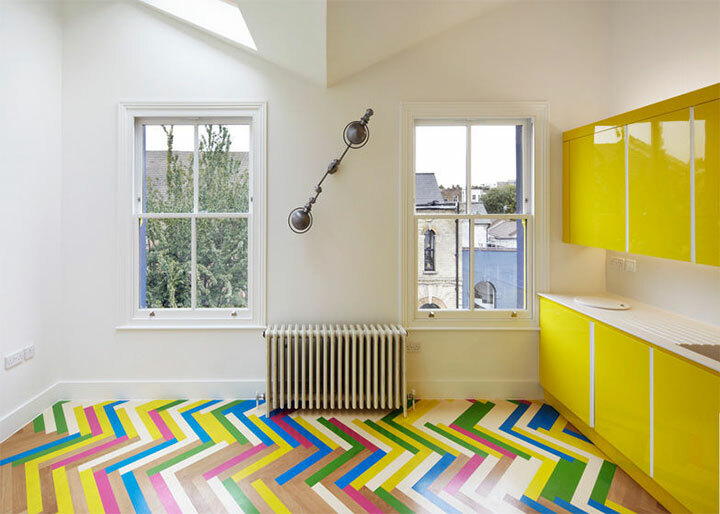 Vivid colors are a fitting design choice for a client immersed in a creative field, but the designers took an even more daring path buy giving the floor a chromatic boost. 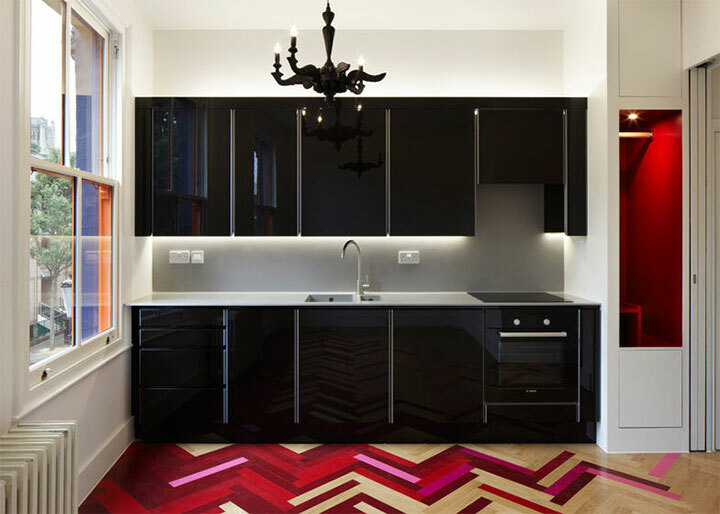 They installed a multicolored herringbone pattern that gives the floor a life of its own. 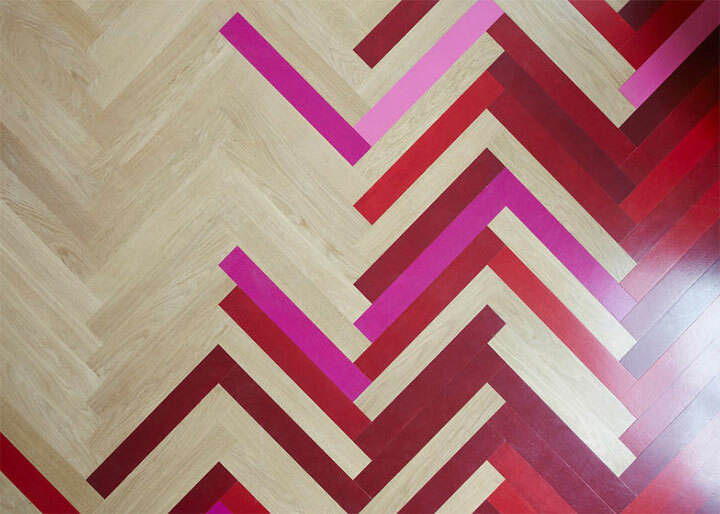 Colorful and impossible to ignore, the floor becomes the focal point of the design, while emphasizing the geometry of the classic herringbone pattern. The colors are reiterated in the design of the counters, furniture, wall treatments or lighting, or used as a contrasting background for the neutral elements of design. 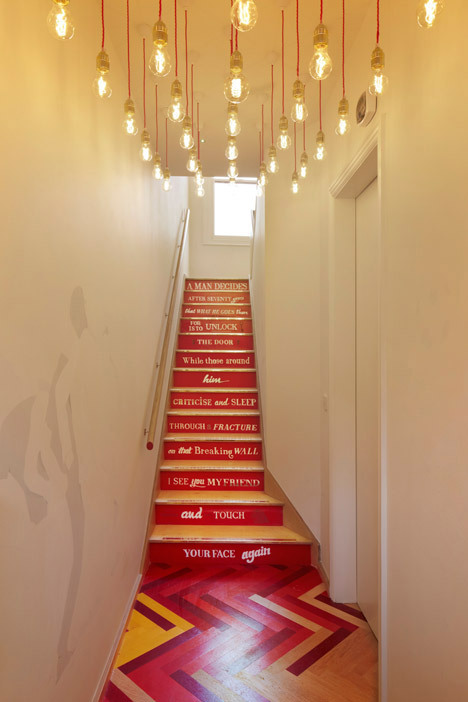 Strong colors recreate the look of the stairs for a cohesive result.